Would you like to be part of the 3rd Findhorn Bay Festival? Come join our team of Festival Volunteers! Volunteers are key to the success of the Findhorn Bay Festival and are needed from Wednesday 26 September to Monday 1 October 2018. Volunteering during the Festival promises to be an extravaganza of fun with a variety of roles needed day and night, indoors and outdoors, and across the whole of the Forres area. The Findhorn Bay Festival provides a unique experience for volunteers with hands on skills learning, immersion in the local arts and cultural scene, whilst having a lot of fun and meeting new people. And of course, you’ll get to see some events for free too! 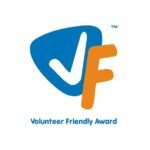 The Festival is produced by Findhorn Bay Arts, who in 2015 received the Volunteer Friendly Award from tsiMORAY, an award in recognition of an inclusive volunteering approach within the community. Travel expenses can be covered for all volunteers and those aged 16 to 25 will also be rewarded with Saltire Awards which carry Young Scot reward points too. To join our team of Festival 2018 volunteers please email assistant@findhornbayarts.com or call 01309 673137.